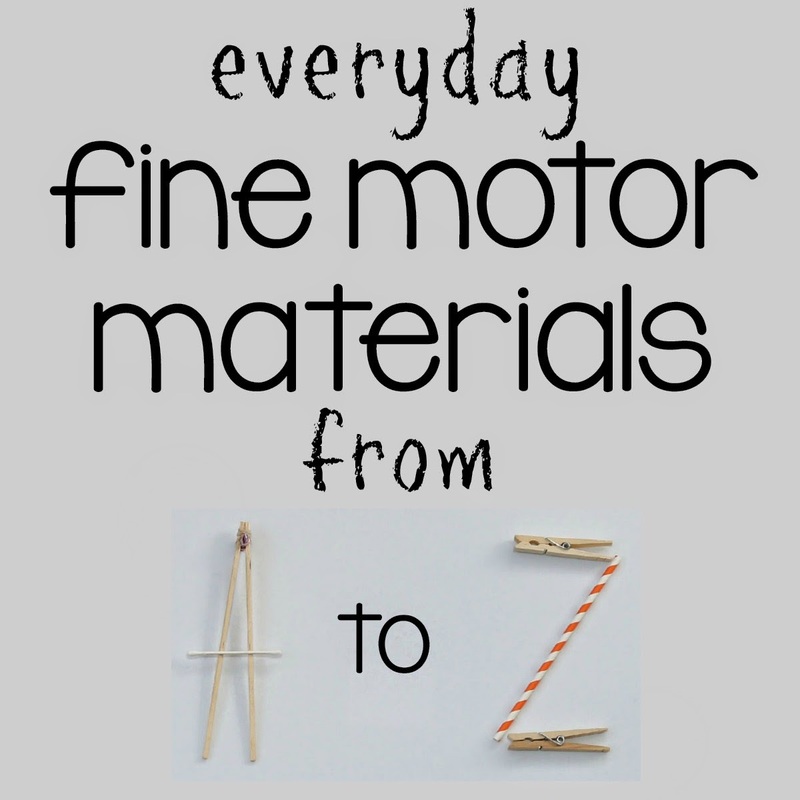 I'm sharing another everyday fine motor play idea as part of the Everyday Fine Motor Materials from A to Z series. Last week, I shared a feather bowl craft for letter F. This time I'm sharing a letter M themed fine motor activity. 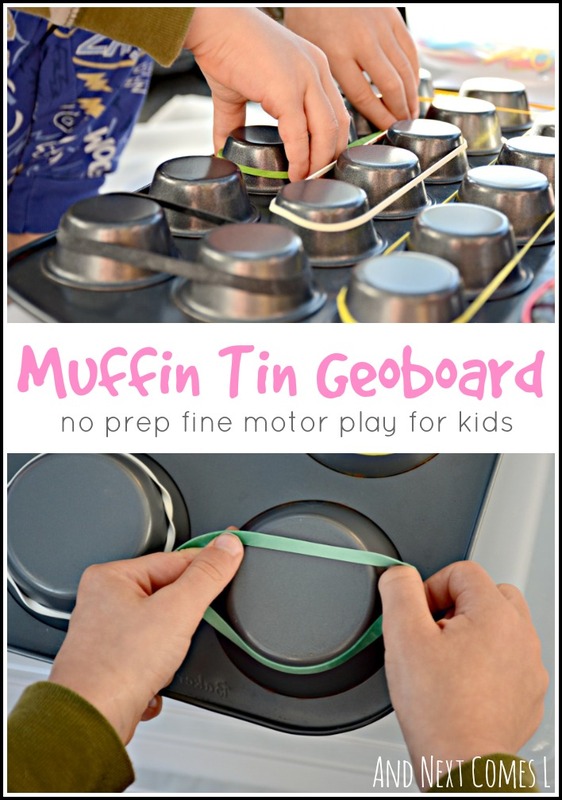 I chose muffin tins for this activity and the boys turned them into geoboards, resulting in simple, no prep fine motor play that kept them both busy for a good chunk of the morning. Muffin tins - I used 2 regular 6 cup tins and 1 24 mini muffin tin. This fine motor activity ended up being just perfect for four year old J. He easily managed to put the rubber bands onto the bottom of the muffin tins. Two year old K, on the other hand, needed assistance with this part. He found it really tricky to hold the rubber bands open while sliding it onto the muffin tin. K did find the 24 mini muffin tin easier. That's when both boys turned the muffin tin into a geoboard. They created patterns, shapes, and even some letters with the rubber bands. This activity required literally no prep, but it turned out to be a fantastic fine motor exercise for both of them. Simple play for the win! YAY! We haven't got into geoboards yet - but this is pretty cool! I guess this can be the perfect introduction for you then, George! I can't believe how easy this is to set up but I NEVER would have come up with it! So smart, Dyan! And I love the photo of his little hands in the purple rubber band! That photo is one of my favorites too! He tried so hard to get those rubber bands to cooperate!